The charm of Treefort Music Festival is in local music, bar venues and the community of Boise, ID. Bands come from all over the country, yet there are little pockets of artists from similar small scenes sprawling across the city – a city that seems to magically transform into a haven of music, art, and vibrance. 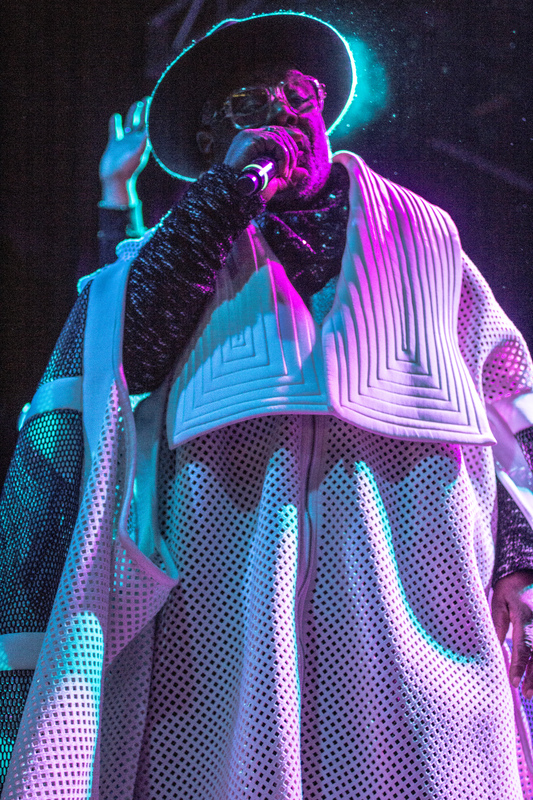 On the main stage, revolutionary acts like Lido Pimienta and Georgie Clinton & the Parliament Funkadelic broadcast high energy and bright lights; the crowd outside stemming from children to middle-aged dreamers, many decked out in sparkles and bright colors. The ability to hop around town gave a feeling of home: bumping into Portlanders in every venue. New Move, Haley Hendrix, and Frankie Simone,among many others, rocked the stage at The Olympic, a homey wooden bar with a stage upstairs. In a small basement venue, Grainey’s Basement, Kitty Crimes, a Denver act, performed a quirky mix of hip hop and pop-punk covers under purple and blue lights. It felt impossible to see all the artists TreeFort Music Fest offered – overwhelming almost, to be so surrounded by good sounds and walking around with groups of people wanting to experience it all. My own experience felt limited considering the vast array of talented musicians over the course of a 5-day city festival! My short time there left me feeling full of music, full of heart, and ready to come back next year.